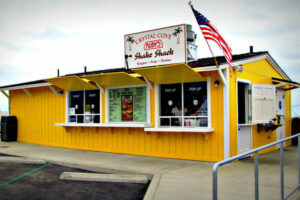 As both the nonprofit partner and the official concessionaire at Crystal Cove State Park, Crystal Cove Conservancy works with our subcontractors to create uniquely Southern California dining opportunities in the Historic District. Enjoying a leisurely lunch or delectable dinner just feet from the sand at The Beachcomber Cafe, or relishing the view as you devour a classic burger and shake at The Shake Shack, your Crystal Cove dining experience will be one you’ll never forget! 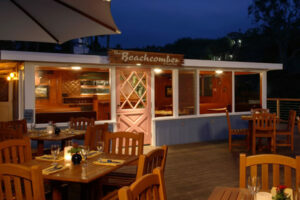 For more information on menus, reservations, and hours, please visit The Beachcomber Café or The Shake Shack online.